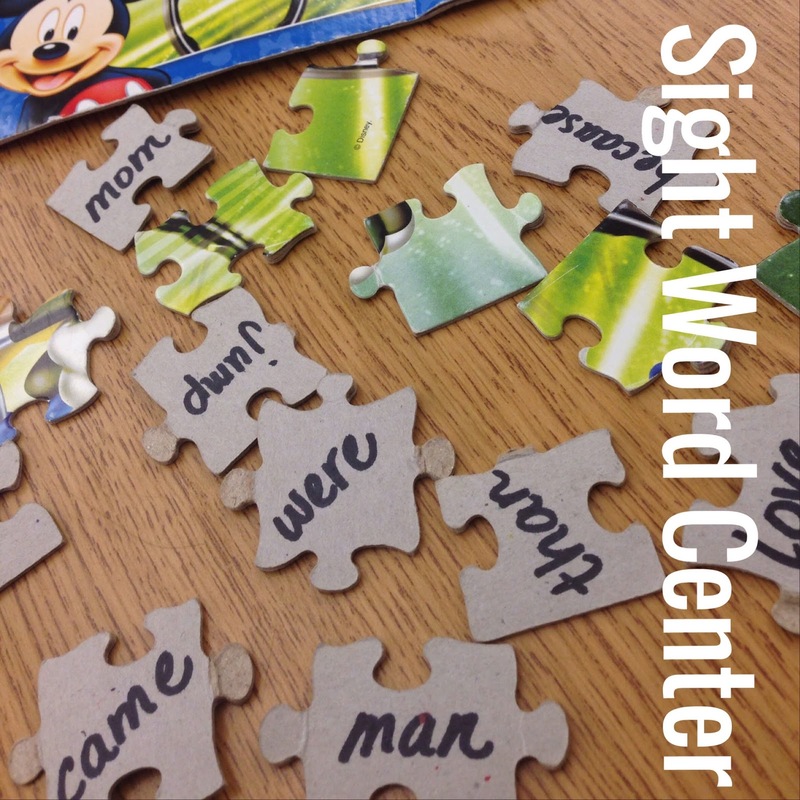 Primary Inspired: Bright Idea - Puzzles for Centers?! Bright Idea - Puzzles for Centers?! I hope you're loving these Bright Ideas! I know I'm finding loads of great ideas to put into action in my classroom! I wanted to share a quick and simple way for you to add an effective and super fun activity to your center or workstation rotation.Incorporate PUZZLES! The beauty of this workstation activity is (besides the fact that it's economical and easy to prep! ), is that it really and truly helps kiddos build that sight word fluency! The way it works: Kiddos turn all the pieces face down, taking turns, they each read a word. If the word is read correctly, they get to turn the piece over. The goal is to read the words and turn over all the pieces as quickly as possible. The puzzle cannot be assembled until ALL the pieces have been turned over. My kiddos LOVE it! Prep is super easy-- gather puzzles...you can either purchase, collect from friends, or send a note home for donations from families. Choose a word list and write the sight words on the backs of the pieces. Storage-- I've found it's easiest to store each puzzle in a ziploc bag. 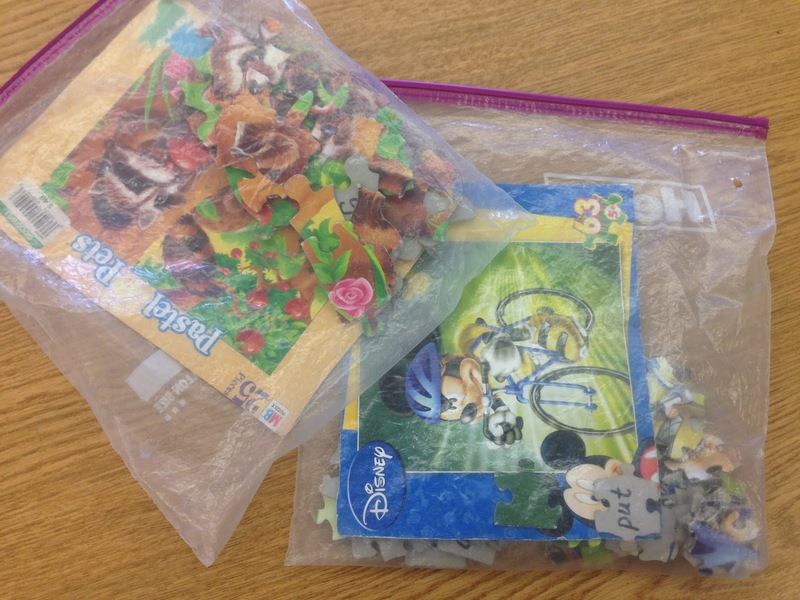 Cut the picture of the completed puzzle off the box and store it in the bag along with the pieces so students may use it for reference. If you enjoyed this bright idea, consider joining me on Facebook, Instagram, or Twitter. 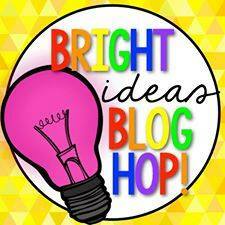 For more bright ideas from more than 130 terrific bloggers, please browse through the link up below and choose a topic/grade level that interests you!